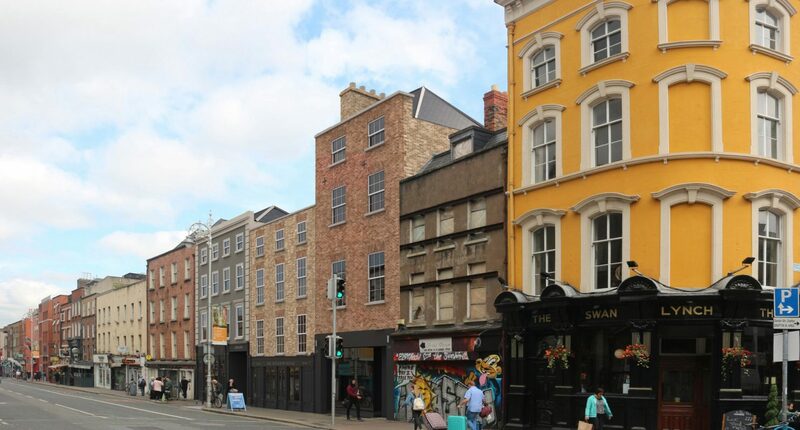 Three existing protected structures are carefully restored and converted to aparthotel use at 22, 23 and 24 Aungier Street. 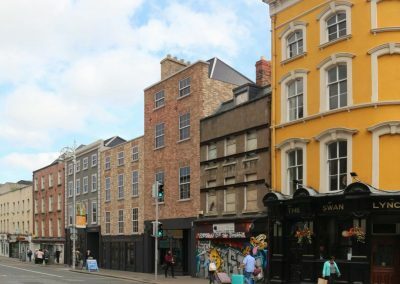 Sections of the buildings date from the 17th Century and are among the oldest surviving town houses in Dublin, originally laid out as part of the Aungier Estate. 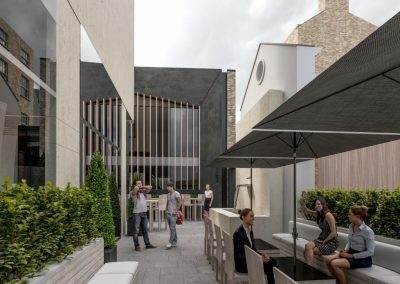 The houses had lapsed into a poor derelict condition, with a mix of flats and second rate retail units. 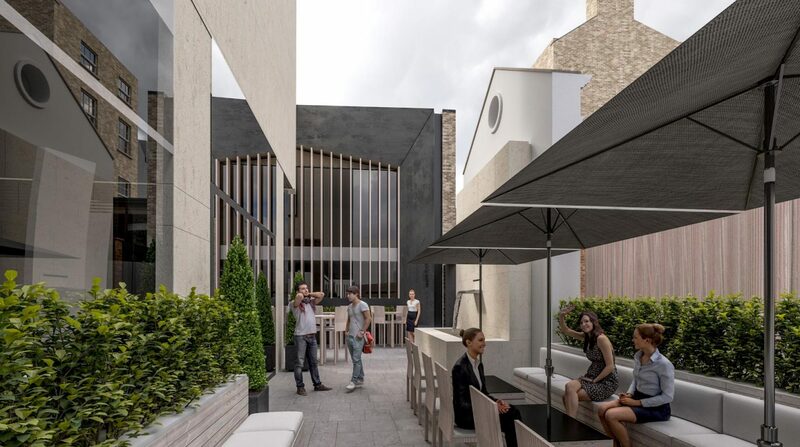 The project breathes life back into these buildings by introducing studio apartments on the upper floors which are operated by the Marlin Hotel located on the adjoining site to the rear. The studios contain kitchenettes, bathrooms, living and sleeping spaces which include fully restored period features, along with contemporary furniture and fixtures giving them a fresh new look and feel. 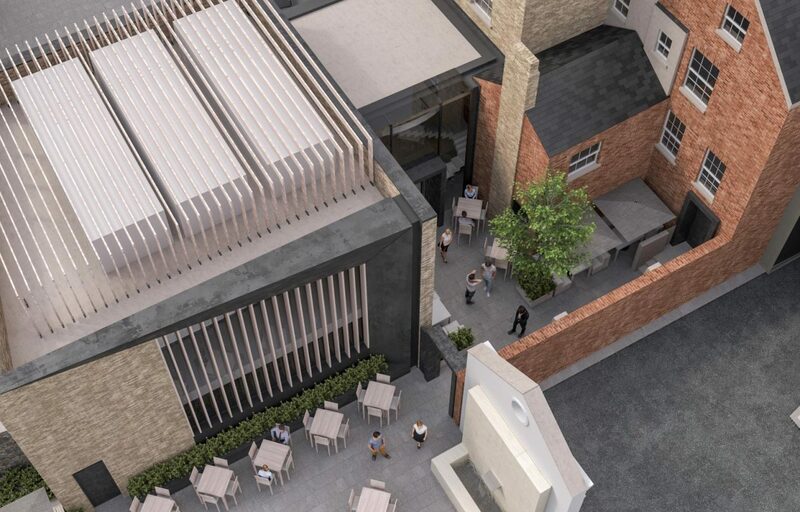 The ground level accommodation is upgraded to include a fine dining restaurant, which extends into a new contemporary style extension to the rear of no.24, also containing a function facility. 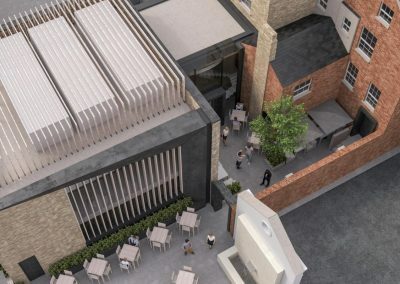 A café and retail unit are introduced into no.22 and 23 at street level to activate the street and enhance the neighbourhood, with a combination of remodelled period shopfronts and modern contemporary restaurant frontage.